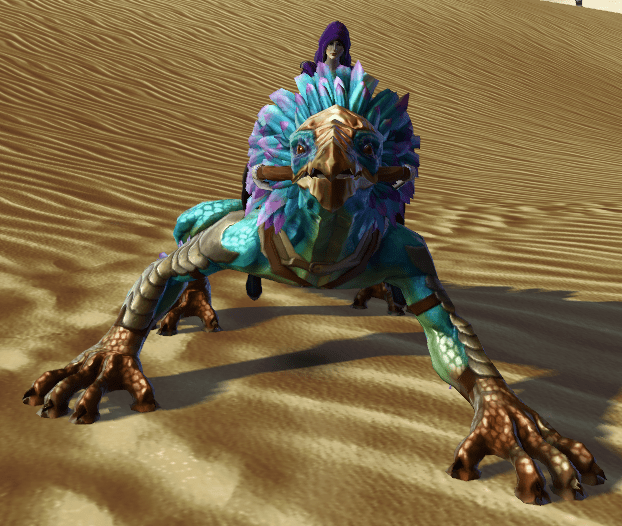 The varactyl, also known as dragonmounts, were reptavian herbivores native to the planet Utapau, though some specimens found their way to worlds such as Kashyyyk and Belsavis. They had beaked faces and long, powerful tails that could stretch to 10 meters long. The varactyl’s flexible neck supported its armor-plated skull, and both male and female dragonmounts had crests and a ridge of mid-body spines displayed during courting ritual. While females sported blue green plumage and skin, males were mostly dull shades of orange and brown. Most important were the varactyl’s five-toed feet. 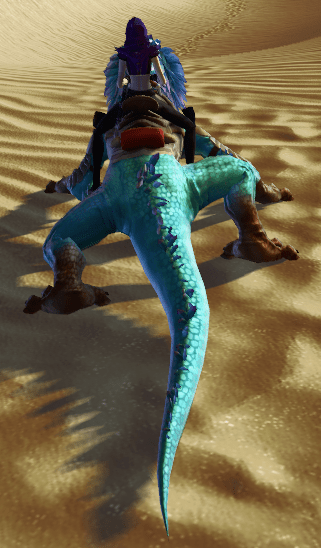 Not only could a varactyl run at very fast speeds, but their feet were adapted with tiny hairlike structures that allowed them to climb the rocky walls of Utapau’s sinkholes. This marked the varactyl as an excellent mount for the native Utapauns.